I was very gratified to receive several very favourable comments about our last issue, the only problem being that we now have a good standard to live up to! This issue has as much, if not more variety, than ever, thanks in part to some new writers who have contributed articles. Freddie Rix is one of our youngest writers and he gives us his impressions of the first year at secondary school. Somewhat at the other end of the age spectrum, I think you will enjoy a wonderfully tongue-in-cheek article by John Trevers about half a dozen would-be sheep farmers. There is also a strong musical theme running through this issue. 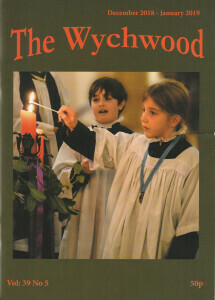 Bernard West looks back at 16 years as choirmaster and organist at St. Mary’s Church, Martin Gibbs shares the delights of the Wychwood singers and our new series, ‘Once in a blue moon’ kicks off with the totally unexpected experience of a very amateur musician. If you enjoy this magazine, why not tell others about it? 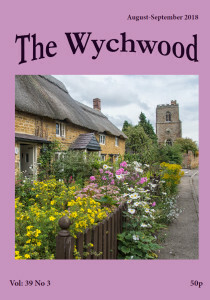 Or, when you’ve finished with it, pass it on to one of your neighbours, giving them the opportunity to enjoy this celebration of Wychwood life and to consider taking out a subscription. Anyway, I hope I have whetted your appetites, so now read on.